"Abia" is an acronym formed from the initial letters of four groups of people, namely: Aba, Bende, lsuikwuato and Afikpo. These constituted the major groups in the state at its creation. 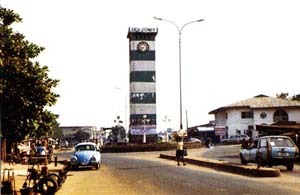 At the country's independence in 1960, Abia was part of the then Eastern Region. From 27th May, 1967, it became a part of the East Central State, created by the then Head of the Federal Military Government, General Yakubu Gowon. 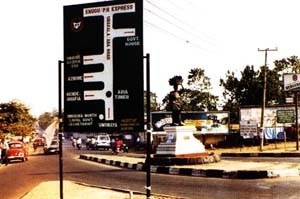 On 3rd February, 1976, East Central State was split into two states(Anambra and Imo) by the Federal Military Government headed by General Murtala Mohammed. On 27th August, 1991, the Federal Military Government under General lbrahim Babangida carved out Abia State from Imo State, bringing to thirty the number of states in Nigeria. Furthermore, in October, 1996, the Federal Military Government under General Sani Abacha created six more states bringing to thirty-six the number of states in the federation. During this exercise, four local government areas (LGAs) namely, Onicha, Ohaozara, Afikpo North and Afikpo South, which occupy the northeastern corner of the state, were transferred to the (newly created) Ebonyi State. Located in the southeastern region of Nigeria, Abia State lies within approximately latitudes 4? 40' and 6? 14' north, and longitudes 7? 10' and 8? east. The state shares common boundaries to the north with Ebonyi State; to the south and southwest with Rivers State; and to the east and southeast with Cross River and Akwa lbom States respectively. To the west is Imo State, and to the northwest is Anambra State. The state covers an area of about 5,243.7 sq. km which is approximately 5.8 per cent of the total land area of Nigeria. With its capital at Umuahia, it has seventeen LGAs, namely: Aba North, Aba South, Isiala Ngwa North, Isiala Ngwa South, Ukwa West, Ukwa East, Obingwa, lkwuano, Bende, Arochukwu, Ohafia, lsuikwuato, Umuahia North, Umuahia South, Ugwunagbo, Osisioma and Nnochi. Each of the seventeen LGAs in the state is headed by the Local Government Chairman who is the Chief Executive Officer of the local government. He is usually assisted by a Secretary, Supervisory Councillors and Councillors. Most local government councils in the state have five departments viz: Administration, Agriculture, Health, Education and Works. The administrative headquarters of the local government area is located in one of the urban or semi urban areas within the local government area. High courts are found in Aba and Ohafia local government areas as well as Umuahia, the state capital. Magistrate courts are located in Aba, Arochukwu, Ohafia, Bende, lsuikwuato and Ukwa LGAs. Customary courts are also found in Ukwa, lsuikwuato, Bende, Ohafia, and Arochukwu LGAs. Each autonomous community has a traditional head, the Eze, that has been identified, selected, appointed and installed by the people according to their own tradition and presented to the government for recognition. Selection may be hereditary, elective or rotatory. For such an Eze to be recognised, the local government chairman has to endorse the documents presented to him by the Eze before for- warding the documents to the governor for recognition. The Eze also has to be presented by the autonomous community at an appointed date and time to the governor or his representative, for recognition. The government also appoints one Eze from each autonomous community. An election is usually conducted amongst recognised Ndi Ezes for each local government to select members to serve at the council of Ndi Eze at the state level. About half of the members of the council are select- ed while half are appointed. Every member of the council of Ndi Eze is required to serve for three years unless prevented from doing so by death or resignation. The council of Ndi Eze in Abia State is made up of 36 Ezes with one chairman and two deputy chairmen. The Abia State Executive Council is headed by the Executive Governor. It comprises the Deputy Governor, the Secretary to the state government and fourteen Commissioners. The Legislative arm of the gov- ernment allows the Governor to appoint a minimum of three and a maximum of five special advisers. The Legislature is made up of elected members of the state House of Assembly, including the Speaker, Deputy Speaker, Majority leader, Majority whip, Minority leader, Minority whip and a number of House Functionaries There is also the staff of the House led by the Clerk of the House. The Judicial arm of the government comprises the Chief Judge of the state, the President of the Customary Court of Appeal and the other Judges who presides at the Magistrate Courts, High Courts and Customary Courts in the state. The following Ministries are headed by Permanent Secretaries; Finance, Local govern- ment and Chieftaincy Affairs, Education, Agriculture, Rural Development and Environment, Commerce and Industry, Works, Public Utilities, Information, Women Affairs, Justice, Lands, Survey and Urban Planning, and Health. Other non-ministerial departments include the Local Government Service Commission, the Office of the Secretary to the State Government, the Civil Service Commission, the Judicial Service Commission, the Bureau of Political Affairs, the Bureau of Special Services, the Housing Corporation, the Bureau of Economic Affairs, the Bureau of Budget and Planning and the Bureau of Establishment, Training and Pension.